I grew up Catholic, and back then Catholics were not allowed to eat meat on Fridays. Honestly, I forget why. But in our house it meant that my mother served fish every Friday night. She wasn’t a particularly good cook, my mother, so we had fish sticks or fish cakes from the freezer, or frozen scallops, or some limp white pasty material covered in breadcrumbs. Every once in a while we got swordfish. Actually, I even as a kid I thought swordfish was pretty good, grilled with lemon, butter and capers. My mother was Catholic, but my father was not. He didn’t have to eat fish on Fridays, and sometimes he'd get a hamburger instead. But this would raise a ruckus among us four suddenly rebellious kids, so it didn't happen often. Besides, my dad was the smart one in the family. And he would tell us that fish is brain food. It makes you smart. And in his mind, being smart is about the best quality you could find in a human being. How smart we all became is up for debate. But whatever intellectual failings we have, it isn’t for lack of fish. Now that I've grown up, I actually like seafood. Or, most of it. I can't quite stomach squid or eel or catfish (can anybody?). But I like lobster and shrimp, flounder and cod and snapper and tuna and tilapia. And now I've found out that my dad was right. I read in the Tufts University “Health & Nutrition Letter” that at least in certain circumstances, seafood is indeed brain food. Researchers from Tufts University, in a nine-year study of close to 500 older adults, found that those consuming at least three servings of fish a week were at significantly lower risk of dementia and Alzheimer’s disease. 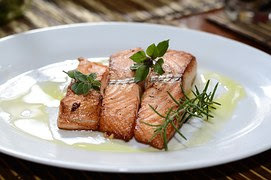 And studies from the Rush University Memory and Aging Project concluded that people who “consumed fish once a week or more had a 60 percent less risk of Alzheimer’s disease compared with those who rarely or never ate fish,” according to researcher Martha Clare Morris. You do have to be cognizant of possible allergic reactions. I was once at a Christmas party, scarfing down the shrimp cocktail, when I broke out into hives. It turns out I have a mild allergy to shrimp, and apparently an allergic reaction to shellfish is not all that uncommon. I took some Benadryl and was fine, but I have to watch the amount of shrimp I eat -- and make sure to pair it with other foods. Also, the levels of mercury found in seafood can sometimes be a concern. The Rush University researchers did find that those who consumed a lot of fish had higher levels of mercury in their brains. But in older adults higher mercury levels were "not associated with any of the neuropathologies associated with dementia." Young children, pregnant and breastfeeding women, as well as women intending to become pregnant, are still advised to limit their consumption of fish high in mercury – especially tilefish, shark, swordfish, mackerel and white (albacore) tuna. But according to this research, for older adults the benefits of seafood far outweigh the risks from mercury. And the benefits are not limited to the brain. For example, the American Heart Association also advises regularly consuming seafood -- at least two meals a week. It seems that fish oil or fish extract does not offer the same benefits as consuming real fish. One five-year trial of more than 3000 participants reported no benefit from supplements. Apparently the process of how fish benefits our brains and our bodies is more complicated than just delivering a few pills from a bottle. Once again science has confirmed something our parents -- and apparently the Catholic church -- knew all along. So I try to eat plenty of fish. I'm just careful about the shrimp. And still avoid those frozen fish sticks. The time: last night, about 9:30 p.m. B, the librarian, is doing something in the kitchen when she calls out to me, "Is it about time to walk the dog?" I am sitting comfortably in my recliner reading a book. My shoes are off. 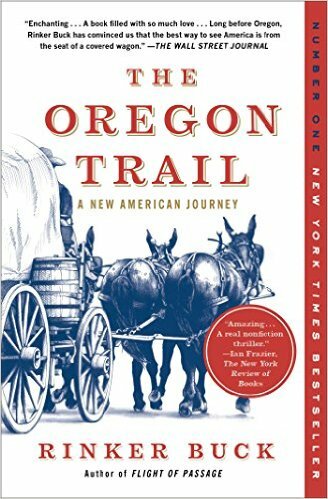 I'm getting toward the end of The Oregon Trial by Rinker Buck, who a few years ago bought three mules and a wagon and set out with his brother and his brother's terrier, Olive Oyl, to recreate a 19th-century pioneer voyage from Missouri to Oregon. I look up from the page, then back down, where Buck is skidding precariously down the side of a cliff in Wyoming, about to tip the wagon over into a gulch. "Come on, Tom," the librarian calls out again. I'd think a librarian would be more understanding of my need to at least finish this chapter. So, thinking myself clever, I call out to my librarian, the proud owner of a new smartphone: "Hey, isn't there an app for that?" Needless to say, about 30 seconds later I was off the Oregon Trail and out the door, leash in hand, taking the dog down the driveway. But as I walked the dog in the chilly night I began to wonder: How much has technology actually improved our lives? After all, there's no app for walking the dog. Okay, I could have been reading The Oregon Trail on a kindle or other electronic device. But it would have been the same story. And besides, I wasn't using my kindle. I'd gotten the book the old-fashioned way. I'd borrowed it from our local library. Later, getting ready for bed, I made my usual ablutions in the bathroom. And I recognized that the typical middle class bathroom has not changed a bit in my entire lifetime. The same toilet, the same toilet paper, the same faucet and sink and medicine cabinet. The style might be slightly different; but otherwise these items are no different from those found in the bathroom when I was a little kid in the 1950s. So how much has technology really changed out lives? How much progress have we really made? Granted, we carry around a smartphone and can text and email and access the internet at a moment's notice. But when we actually do make a phone call, the connection was really better on our old land line. And what do most people do with their smartphone when they're waiting in line or sitting on the bus or train? They are playing Candy Crush or Words with Friends. Other than being electronic, these games are not all that much different from the Chutes and Ladders and Scrabble we played as kids. My car has air bags and other safety features. But other than that, is it much different from the car I drove 50 years ago? You still fill up the gas tank at the service station, get in, start the car, and use the steering wheel to roll four petro-tires down the road at 60 mph. Well, there's one difference. There's no service at the service station. Oh, and another. The traffic is worse! Admittedly, when I was a teenager our car did not even have a radio. But we hung a small transistor on the little handle of the front vent window (remember those?). And boy, I recall having a lot more fun listening to The Rolling Stones belt out "Satisfaction" back in 1965 than I do today sedately listening to Sara Bareilles warbling on my fancy new XM radio. I don't want to sound like an old curmudgeon. I do love my laptop, and I love email, and I love google. I'm just not completely enamored with the smartphone. If only there was an app to walk the dog . . . The theme for boomer blogging this week seems to center on how to spend your time in retirement, how to focus your energies, how to prioritize your activities. And in true form, I have saved the best for last. But first, Laura Lee Carter has been thinking about blogging. 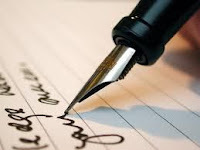 In How Do We Choose What to Write About? she wonders why we find some topics worth exploring while others never catch our interest. She concludes, somewhat mordantly I think, that a midlife crisis is the gift that keeps on giving. On the Survive and Thrive Boomer Guide, Rita R. Robison, consumer journalist, turns her attention to financial priorities. In her post Most Americans Have Financial Regrets she cites a survey showing that older people regret not starting to save soon enough for retirement, while Millennials have the most regrets about student loan debt. It raises the question: How much time and effort are we willing to devote to saving money, planning for the future, and organizing our financial lives? That's a question everyone has to answer for themselves, as well as a similar question: How much time do we spend to organize the rest of our lives? Meryl Baer of Six Decades and Counting reveals that she has attempted throughout her life to be neat and organized. She now reports that she has made some progress ... but only temporarily. It's a losing battle, she avers, and in Organized Life, Organized Body, Organized Mind? she finally admits that she is now willing to accept the consequences of a messy lifestyle. All I know is that there are two kinds of people in the world. The messy ones. And the people who are married to them. Anyway, speaking of time -- and time wasters -- according to Carol Cassara at Heart-Mind-Soul, everyone loves those quizzes that periodically make the rounds on Facebook. In her post My Baby Boomer Test she offers one of her own. Okay I admit it, I'm a sucker. I took the test and scored "Your memory is a bit lacking -- you might have smoked too much weed back then." I deny smoking too much weed back then -- I smoked a little, but not so much that it friend my brain. However, I also confess that age has done what weed did not, and I now admit to a memory that sometimes skips and falters. Still, as I said, I'm a sucker for quizzes. If you share my weakness you can try several of them over in the right-hand column of this blog, including my own Are You a Baby Boomer? But if you want to make more serious use of your time you might be inspired by Kathy Gottberg, who has gone on a real vacation which includes a mini-vacation from her blog. In her absence she has signed up guest Lizzie Lau to fill in for her. Gottberg introduces Lau as a part-time resident of La Quinta, CA, who knows how to live the “rightsized” life. This week’s post The Costa Rica Version of Rightsizing presents us with the concept of “pura vida” which is a vibe, an approach to life, a way to show gratitude. If you want more of Lizzie, you can find the self-described former adrenaline junkie and ex-skydiver blogging on the Lizzielau website. 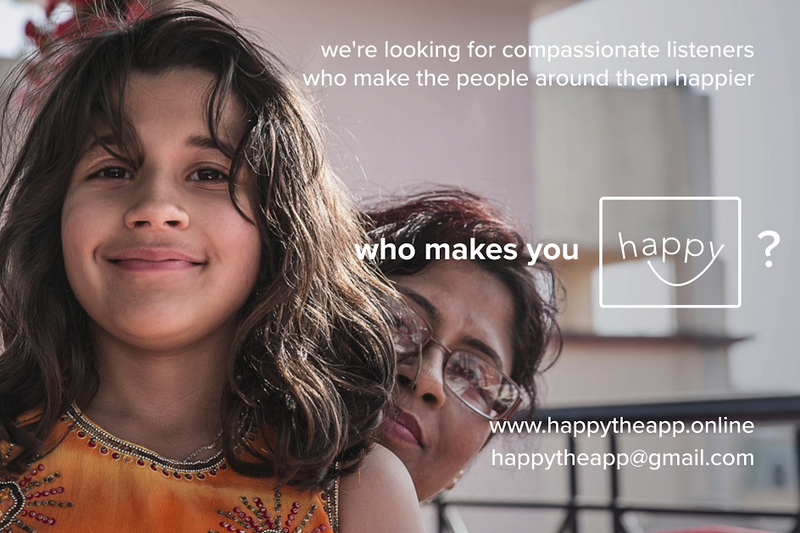 Finally, some of you might recall a post I did in March called You've Got a Friend, in which I featured the Happiness Project, a startup that aims to provide emotional support for everyday people, from everyday people, all by way of telephone. 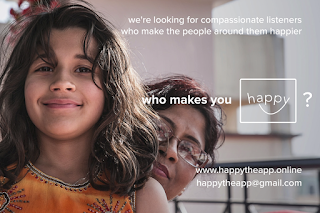 The project is now dedicating itself to recruiting "happiness givers" -- compassionate listeners who want to make other people happy, and earn a little income in the process. Anyone who thinks they fit that description can arrange an interview with the project. The top 100 candidates will comprise the project's foundational group of happiness givers. If you're interested, click over to Happy the App and sign up for an interview. Who knows ... you might just be happy you did. I was in the grocery store yesterday and saw my first container of blueberries. The blueberry season is upon us, and it brings back memories. I remember when I was a kid, for several years our family rented a cabin on Crystal Lake in New Hampshire. We'd go in July for two weeks. My older brother set a goal of swimming across the lake, about three miles, and by the end of our first summer he made it, with my dad and me accompanying him in a rowboat. I also remember picking off the blood suckers that would sometimes attach themselves to our arms and legs, and private parts too, like the scene in Stand By Me. I also recall that each time we went to New Hampshire we'd spend a day or two scrambling over the rocks and scratching through the bushes to pick blueberries, which we gorged on until our tongues turned blue. Then my mother, who was not a particularly enthusiastic cook, was nevertheless inspired to bake blueberry muffins, make blueberry pancakes, and cook up a shelf full of blueberry pies. In New Hampshire the blueberry season comes in July and August. But these days Georgia produces more blueberries than new Hampshire ever did, and so the blueberry season begins in May. After that, blueberries start coming in from Oregon and Washington, Maryland and Michigan. Surprisingly, New Jersey is a big producer of blueberries, and Hammonton, NJ, makes a claim to be the "blueberry capital of the world." My parents lived relatively long and healthy lives -- my mother died at age 89, my dad at 91 -- and if I ever make it past 90, I will attribute it to all those blueberries I ate as a kid, and still consume as an adult. I don't know what it is -- maybe it brings me back to my youth? -- but I love blueberries. I eat them plain, or in a bowl with milk. I sprinkle them on vanilla ice cream, and pretty much every morning from May through August I top off my cereal with a few tablespoons of blueberries. Blueberries are credited with containing lots of antioxidants, including a class of flavonoids known as anthocyanins, which are responsible for giving foods like blueberries (as well as cranberries, red cabbage and eggplant) their purple, bluish color. All these foods are associated with lower rates of cancer, diabetes and heart disease. According to a recent study from the Harvard School of Public Health, regular consumption of anthocyanins can reduce the risk of heart attack by 32% in young and middle-aged women. Another study from the University of Cincinnati suggests that blueberries also help improve memory and brain function in older adults. Researchers monitored 47 Americans over age 68 who had shown minor cognitive impairment. Participants in the study were given either dried blueberry powder, or a placebo, every day. 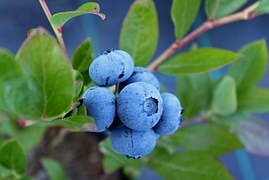 The people who took the blueberry extract saw their memory improve, performing better on tests asking them to retrieve words and concepts. The improvements were confirmed in MRI brain scans that showed more intense brain activity in the blueberry group compared to the placebo group. Of course, we all know that sometimes researchers and the media exaggerate the health benefits of various foods. But get this: Blueberries have been shown to prevent skin damage caused by the sun, pollution and smoke. In other words, blueberries prevent wrinkles and improve your skin tone. Regardless of whether all this is true or not . . . blueberries sure do taste good, and for me at least, are a welcome harbinger of summer. Does a Smartphone Make You Smart? B finally got a smartphone yesterday. She spent about an hour on the (land line) phone with Verizon setting it up. This exercise made me appreciate two things about my lovely partner. First, I wasn't aware that she commanded such an extensive vocabulary of four letter words. However, I'm not so sure of her aptitude in biology. I'm pretty sure that a few of the things she was suggesting, quite urgently and vociferously, are illegal in some states. Others are just downright anatomically impossible. For example, a head is way to large to fit ... up there. However, she persevered and is now a member of the smartphone-carrying public. I have to admire her persistence. I also have to give credit to the woman on the other end of the phone. Whatever you say about Verizon, it has good, level-headed, patient phone representatives. I don't want to brag, but I've had a smartphone for several years now. My only problem is that I thought a smartphone would make me smart. Instead, it seems, you have to be smart to use a smartphone. And I'm not so smart. For example, I do use my smartphone to make telephone calls. But I have to admit, I like our land line better. You get a better connection and can actually understand what the other person is saying. I hope that, whoever is elected president this year, they keep that red phone connected to a land line, rather than switching to over to a smartphone. Otherwise, the new president might call up Putin and say, "Obama is gone!" And Putin will think he or she said, "We're dropping the bomb!" I also sometimes use my smartphone to take pictures. But I much prefer my Canon digital camera. True, it's yet another thing to carry around. But I find it's easier to use, has more features, and takes clearer, brighter photographs. 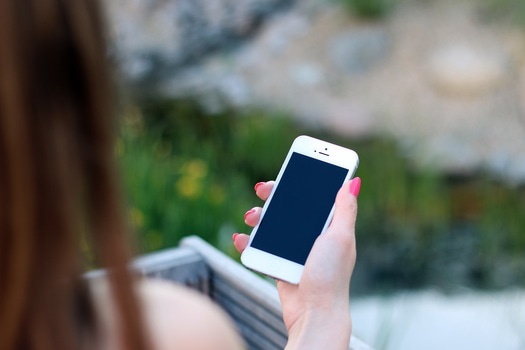 Of course, the big benefit of a smartphone is that you can access the internet. So you're in the car, or out to dinner, and someone mentions Muldova, and quick ... you can look up and see exactly what and where Muldova is. But again, I personally find that behavior kind of superfluous ... people constantly interrupting a pleasant conversation to check their smartphone to answer a trivia question. When I access the internet, it's usually in the service of an article or email or something like that and I use my desktop or my laptop to google whatever it is I need to know. I have used my smartphone to download and listen to podcasts. But I just don't have the time to do a lot of that. I do use the smartphone to text -- not because I'm particularly fond of texting, but because it's pretty much the only way my Millennial children will talk to me. But, actually, B could text on her old phone. You don't need a smartphone to text. I also have a problem keeping my phone charged; and I don't always carry it with me. I simply have not developed the lifestyle where a smartphone is attached to my body all the time. As I tell my kids: if they text me or leave me a message on my smartphone, I guarantee a 48-hour turnaround. They smile at me indulgently when I say this, confirming in their minds that they are cool, hip Millennials and I'm just an old fogey baby boomer. That's okay with me. It makes them feel good, and as their father I like to help my kids feel good. Anyway, B and I went to dinner last night. We both ordered a salad. I asked her, casually, peering over my menu, "What's the difference between ice cream and gelato?" A minute later I looked up again. There she was on her smartphone ... ready with the answer. Into every retiree's life comes a little decluttering. As I mentioned in my April 29 post, we have put our house on the market with the idea of moving on to smaller digs and perhaps sunnier climes. The real-estate market must be pretty hot these days, because we've already received a solid offer. That's good news, right? Except now we're in a panic. Did we really mean to do this? Where are we going to relocate? Everything is moving too fast for us old stick-in-the-muds. And this is what it looks like now. We've made some headway, don't you think? Although, as you can see, for some reason we've still got a baby gate from 20-odd years ago. I might show you pictures of the upstairs, except B won't let me because she says it's too messy. Um ... I'm not sure I'll ever be able to show a picture of the upstairs, because I have a feeling it's always too messy. 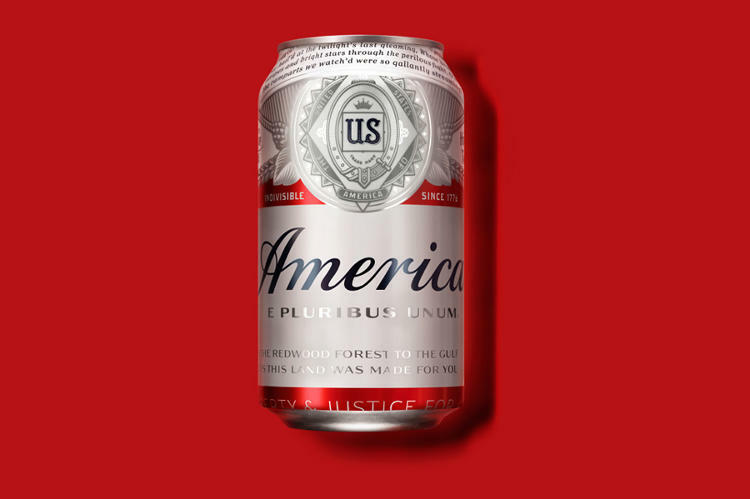 On another completely different subject, did you hear that they want to change the name of Budweiser beer? They're renaming it America. Does that seem as boneheaded a move to you as it does to me and B? They've been building this brand for a century, and now they're going to throw it all away? On the other hand, maybe it's just a plot by the great public-relations/media/advertising complex to get us talking about the product. And we are talking about it. The way they got us talking about Donald Trump and Bernie Sanders. But ... are we really making progress? He once appeared on the cover of Sports Illustrated with his motorcycle. He was an ex-con and former Marine. And he had three wives. The first was a Filipino actress related to pop singer Enrique Iglesias. His second wife was voted the top female box office star in 1972, and his third was a fashion model. Third time's the charm. They met after he saw her photo in an advertisement and used his contacts to arrange an introduction. They married just a few months later -- and she was by his side until his death, at age 50, of malignant mesothelioma. Do you know who I'm talking about? He was born in Indiana in 1930, and had a tough time as a youth. His biological father left his mother before he was even born. The mother, an alcoholic and sometime prostitute, abandoned him to her parents when he was three years old. It was the depths of the Depression, and the grandparents soon took the boy and moved in with the grandmother's brother. The brother, Uncle Claude, liked the boy and took him under his wing. He gave in a tricycle, and when the boy went back to his mother, at age eight, Uncle Claude gave him a watch with an inscription saying he thought of him as a son. Back with his mother and a stepfather, the boy got in trouble and ran away from home, even joined the circus for a brief period. He went back and forth between his mother's house and Uncle Claude's farm several times, until he found himself in Los Angeles with his mother and her third husband. He was arrested for petty crime and handed over to his new stepfather, who beat him and threw him down the stairs. At that point the boy, now a teenager, reportedly looked up and growled, "You lay your stinkin' hands on me again and I swear, I'll kill ya." He took a turn at the California Junior Boys Republic in Chino (a cause he supported after he became a star), then in 1947, at age 18, he joined the Marines. After a rocky start he fell into line, embracing military discipline and once saving the lives of five fellow Marines in Arctic exercises, pulling them from a tank before it broke through the ice into the sea. He was honorably discharged and in 1952, with help from the GI bill, made his way to New York to study acting while making extra money racing motorcycles on Long Island. He landed a few minor roles on Broadway, then in 1955 headed to Hollywood, where he found himself in a couple of B movies and then played in westerns on TV. His breakout role came in 1958 when motorcycle buddy Robert Culp got him to read for the part of bounty hunter Josh Randall on Have Gun, Will Travel. As Josh Randall he wore a sawed-off rifle on his leg, developed the art of the fast draw, and began to create his image as a cool anti-hero. In 1959 he appeared in a movie with Frank Sinatra, and then was cast opposite Yul Brenner, James Coburn and others in the western The Magnificent Seven. In 1963, he was featured riding his motorcycle in the World War II movie The Great Escape. And by this time you gotta know who he is: the one and only Steve McQueen. He went on to play Nevada Smith and the Cincinnati Kid, and earned his only Academy Award nomination in 1966 for his role as a sailor in The Sand Pebbles. 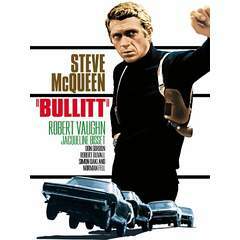 But perhaps his best-known movie was Bullitt in 1968, which featured a memorable car chase through San Francisco. McQueen met his second wife, Ali McGraw, on the set of The Getaway. He won plaudits for playing opposite Dustin Hoffman in 1973's Papillon, and he was for a time the highest-paid actor in Hollywood. Later in his career McQueen turned down a number of movies, including Butch Cassidy and the Sundance Kid, Dirty Harry and The French Connection, to focus on racing. He kept up a rigorous exercise program, but was also known as a hard-drinker and heavy smoker who experimented with drugs (although he considered himself a political conservative). His mug shot was widely circulated after he was arrested for driving while intoxicated in Alaska in 1972. In 1978 he developed a persistent cough, and soon found he suffered from mesothelioma, a function of his smoking and possible exposure to asbestos in the Marines and later in racing. In the summer of 1980 he famously traveled to Mexico to undergo alternative treatments involving coffee enemas and the unproven anti-cancer drug laetrile. The treatments failed, and McQueen died on Nov. 7, 1980. Steve McQueen was inducted into the Motorcycle Hall of Fame in 1999, and of course he has a star on Hollywood Boulevard. And even now, almost half a century later, and with all our cultural changes, he still appears on many lists of Hollywood's all-time coolest, sexiest and most popular movie actors. 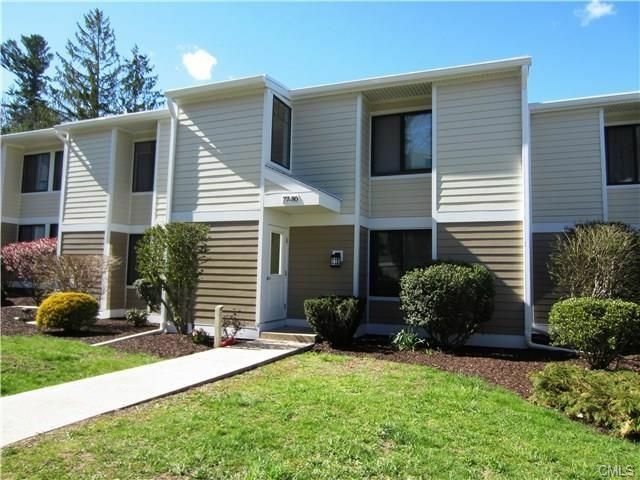 As I mentioned in my last post, B and I are selling our family home, and we are thinking about renting a condo for a year or two instead of rolling over our equity directly into a new home. The main reason we're selling our house now is because this is a year when we can finally, actually sell it, after a number of years when the real-estate market was pretty dead. The main reason we're planning to rent for a while is because we don't know where we want to go. We have no grandchildren. Our kids are spread out over four states. And, it seems, the two of us have slightly different ideas about the nature of our retirement paradise. So we're taking a gap year to figure out the rest of our lives. Meanwhile, I don't know what it's like in your neck of the woods. But here in the exurbia region of the New York suburbs the real-estate market has heated up quite a bit this year. Our house is worth, probably 20 to 25 percent more than it was a few years ago, although still some 10 to 15 percent less than when we bought it at the top of the market in 2007. One condo we've looked at to rent ... it's pretty small! Don't feel sorry for us, though. When we moved in together in 2007, B and I also sold our two old houses, and we paid less for our current home than we both received in selling our old homes. So the consolation prize? We've lost less money than we would have otherwise. Also, you have to look at your entire history. Like most of us, despite the Great Recession, I've done quite well over the past four decades since I bought my first home (three bedrooms, one-car garage, a quarter acre) for $70,000 back in 1977. What I find discouraging, though, is that when we look at the rental market, everything looks pretty expensive. For the same amount we're now paying for our four-bedroom home, we'd be lucky to get two to three bedrooms, in a neighborhood not as nice as our old one. We're now looking at a condo; the idea is to save money so we can travel. But it seems you get a lot less space, for not that much less money. This makes me question some of the current thinking, as represented by this article on TheSreet.com, that renting is cheaper than buying -- presumably because you don't pay real-estate taxes and a mortgage and the maintenance costs. When you're renting, the landlord pays all that. But think about it. Where does the landlord get the money to pay taxes and the mortgage and everything else? From the rent. So it all falls back on the renter in the end, anyway. One advantage of renting is clear, however. It doesn't tie you down to a particular place. And there aren't many up-front costs compared to all the fees involved in buying and selling a house. The old rule of thumb probably still pertains: rent if you think you're going to move again in five years or less; buy if you're going to stay more than five years. So we're going to rent -- because for us it's a temporary situation. One or two years, not five years. Then once we decide where we're going to settle, we'll buy another home. Because we can't afford to rent for long.